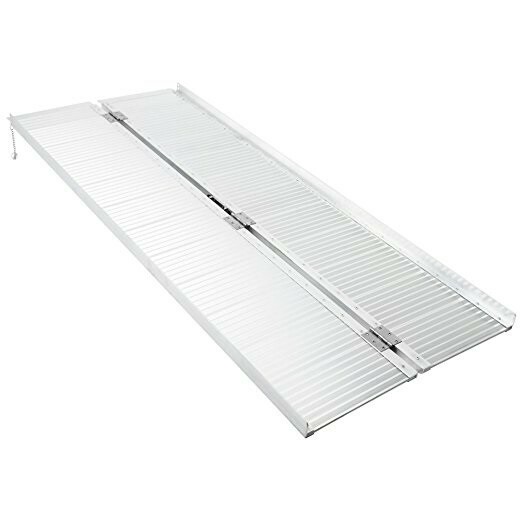 The SCG series of mobility ramps by Rage Powersport Products is made up of versatile ramps with a 29 1/4 inch width and lengths ranging from 24 inches to 72 inches. 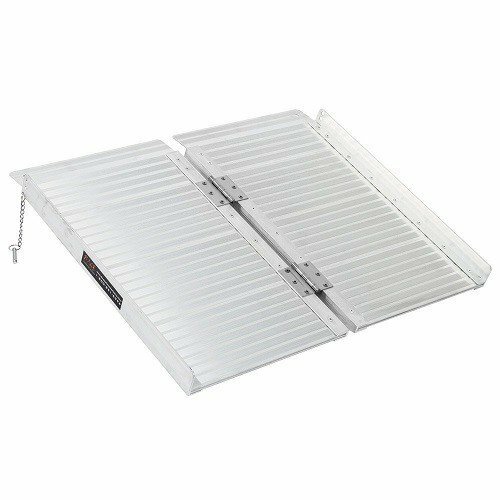 These sturdy, durable ramps are made out of long-lasting, lightweight aluminum that won't rust when exposed to the elements. The Rage ramp SCG series can be used to conveniently transport a variety of items including wheelchairs, mobility scooters, lawn equipment, grills, or other outdoor equipment. The three-inch attachment lip can be fitted with ease to porches, sheds, vehicles, or trailers. 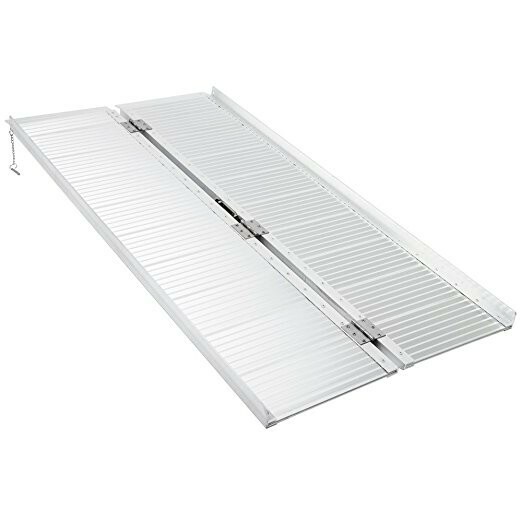 The Rage access ramp comes with raised, serrated ridges that increase traction and stability. The edges of the ramp are raised to prevent items from slipping off of the ramp during ascent or descent. These Rage Powersport ramps require no assembly and are easy to transport. They are very lightweight and can be folded in half for compact storage or transport. The carrying handle makes it easy to lift the ramp into a car or shed. These safe, secure mobility ramps will make it much easier to move heavy items into position. Provides convenient loading and unloading of wheelchairs, mobility scooters, lawn equipment, etc. Can be used on trailers, vehicles, sheds, porches, etc.